We are a small but perfectly formed team of very talented people boasting a wealth of experience and knowledge across all media. Being small has many advantages – no complex management structure means shorter lines of communication – you, the client, has a direct line to the people who run the show and you don’t pay for all the people that you never see! Our design studio creates for some of the most respected brands in UK and Europe, with clients ranging from market leaders to small charitable groups. Whether you are looking to raise brand awareness, engage with new markets or attract new customers, we can create a compelling cost effective solution. We are extremely passionate about our service, we understand and meet your deadlines. Our pricing structure is transparent and competitive and not charging for attending meetings or travel is just one of the little things that makes us special. An award winning creative team, delivering innovative and impactful brand solutions, campaigns, digital media and first class marketing tools for some of the country’s most respected brands across all markets. We believe in combining practicality with imagination, to produce creative solutions that are tailored to match our client’s needs and resources. We shape the images of companies, their products and services, to command attention, communicate effectively and maximise results. Just one of our specialist subjects (no starter for ten!) is the pharmaceutical industry, particularly the therapeutic areas of Haematology and Oncology. We have over 20 years’ combined experience in this field, a deep knowledge of diseases and therapies, along with the ability to provide strategy and design, across all available media in order to meet your requirements whilst ensuring compliance with the EFPIA/ABPI Codes of Practice where applicable. "We believe in combining practicality with imagination, to produce creative solutions that are tailored to match our client’s needs and resources." Not charging for attending meetings or travel is just one of the things that make us special. Adovation directors have over 20 years' experience in both Pharmaceutical and Construction industries. Being based outside London means lower overheads, this means our cost savings are passed on to you. Over 10 awards received recently at annual ceremonies including PM Awards and the PMEA. With no complex management structure to pay for, we can keep costs much lower than others. Delivering creative executions within the restrictions of regulatory environments such as the ABPI code. Visual communications underpin everything we do. A quick glance at any form of graphic design communicates so much more than just colours, content and literal messages. Creative visual communications will sum up your brand values and ethos, all in a split second. We work with all forms of visual communications, from brand identity to online graphics and offline print materials, to differentiate our clients from their competitors and communicate their brand visually. Your brand strategy is how, where and when you plan on communicating your brand messages. Where you advertise, your distribution channels and what you communicate visually and verbally are all part of your brand strategy. adOvation create campaigns that address all of these issues and take the headache out of building your brand. The world of technology has changed to the point where digital marketing and communications have a place in your business strategy. Your needs maybe iOS or android app development, animation, video filming and editing, personalised email marketing or simply creating an online version of your sales brochure that is available for your prospective customers to download from your website, you’ve got one of those, right?… what? Well fear not, we can get you online and making a name for yourself in no time at all. Social media is also a great way of communicating with your customers, we can take the headache out of poking, tweeting, trending and blogging with a bespoke campaign, we will manage your pre-approved daily updates, designed to increase your online presence, subscribers and followers. For over a decade, adOvation have been making corporate events extra special. From small incentive groups and training seminars to large sales conferences, adOvation benefits from having the knowledge and expertise to produce these events in the UK and abroad. We have a flexible and consultative approach and we’ll do as much or as little as you need to support you in this complex and time-consuming area. Our full service package covers venue sourcing and accommodation booking, logistics, AV presentations, filming and support collateral. Additionally, adOvation offer delegate management and packs, on-line delegate registration, database management, programme planning, speaker liaison and travel logistics – and, of course, our highly experienced team will provide on-site support, leaving you to mingle and enjoy! The account management team will also mastermind the financial burden for you, not only setting a realistic budget but ensuring that your project remains on that budget and keeping you appraised at all times. As well as the organisation for events, adOvation have been designing exhibition stands for over 20 years. Exhibition stands begin with conceptual design to your brief, production of technical plans and full colour 3D visualisation. The focal point of any stand is the theme and we will work with you to create an eye-catching and interesting design. Only when you are totally happy with that design and concept, our project management team will liaise with you on the detail, while production starts on the stand. Don’t worry, we’re with you right to the end and one of our team will be on site until you’re totally satisfied. Are you a market leader, challenger, follower or nicher? adOvation understand that targeting a diverse market can be a tricky business. We can advise you on an effective strategy in approaching any market or audience, our methods are not only comforting but most importantly, effective too! We promise to guide and work with you through the process and be sure to turn each frown upside down! To ensure interest and long-term brand success it’s important to lay a solid foundation – there should be no short cuts in marketing. Whether writing brand plans or simply devising compelling marketing materials, you will find that our blend of stunning design, logic and a little magic sprinkle will result in engaging and impactful campaigns, being mindful of optimizing your marketing budget. We also carry out extensive research on the brand and the brief to come up with a single-minded proposition. The creative process is all about bringing ideas to life. Once our team is given a brief, they bring their ideas together with light bulb moments and inspirations from a number of valued talents that work together on clients’ briefs. Innovative packaging is as important as clear and comprehensive design, ‘standing out’ and setting trends is at the forefront or everything we do. adOvation’s artwork studio has a highly experienced team of staff who have both technical and creative solutions to support new product launches or brand redesigns. adOvation’s expertise in creating OTC or prescription only medicinal packaging goes back years, our designers ensure that the information considered critical for the safe and effective use of a medicine is easily accessible by the consumer or healthcare professional selecting the product. Sincere thanks for the poster & handouts – we had lots of interest and it looked fantastic! Thanks so much again – we knew we could rely on you to turn it around so quickly! Our field force gave us some very positive feedback on the sales aid, so great job you’ve done! "I just wanted to write to thank you for all of your help working with me on the Multiple Myeloma portfolio for Celgene over the past 3 years. You have always gone above and beyond and been an absolute pleasure to work with. You guys are legends, thank you!" "I thank you for your flexibility."  "Thank you for the fantastic work you have produced in such a small amount of time. Once again, we have been able to work well together and deliver quality materials, congratulations for taking on the challenge." "Thought you might like to hear the great news that Saadia and I won the 'most humouristic' poster!!! It was a landslide vote and we were the only team from the UK to pick up an award, so a million thanks to you Barbara & Matt! Here's to next year ..."
"Many thanks Barbara for your and Matt's help - we were very impressed with the speed and efficiency with which you responded to our urgent request for help." "The advertising campaign that you have produced ticks all the boxes. Tonality and feel is spot on." "Just to let you know the data sheets and folders were delivered on time, the quality of both are exceptional and work well with each other. Excellent Work." "You have been such superstars supporting the LATAM team with all our weird and wonderful requests." "I have not met or worked with another agency I liked as much as you guys. Thanks for all your support on the latest materials." "I appreciate the deadlines were very tight, so I can't thank you guys enough for bringing all the items together and delivering them in record time! Well done." "The concepts that adOvation delivered were right on the button - we loved them all making it very hard to choose the final two. The project was turned around very quickly and well within budget - good job, thank you." "adOvation have worked with us since the inception of the NET Patient Foundation. Not only is their work professional, but they are easy to work with and always ready to go that extra mile if required." Our dynamic team combines over 30 years’ experience in creating, writing and delivering strong brand solutions, campaigns, e-media and e-detailing with first class account management. … and we are very nice people! "So, if you're looking for a creative agency to help get you where you want to be, talk to the team who already know the way." Neuroendocrine tumours (NETs) is the umbrella term for a group of unusual, often slow growing cancers, which develop from cells in the diffuse endocrine systems. They are found most commonly in the lung or gastrointestinal system, but they can arise in other parts of the body, such as the pancreas, ovary and testes, among other sites. Add your voice to those calling for better awareness of neuroendocrine cancers around the world. Pledge your support and help us to put neuroendocrine cancers on the map. Get sun savvy and learn more about staying protected from the sun’s damaging rays with this expert advice from LloydsPharmacy Pharmacist, Anshu Bhimbat. If you don’t use enough sun lotion you can be at risk of burning, but equally, applying the sunscreen to the same area twice won’t double the protection. Make sure you use an amount equivalent to the size of a golf ball (or six teaspoons) to cover your entire body. A 200ml bottle has enough for around six adult applications so try and use accordingly. With so many products on the shelf, picking the right one can feel a bit overwhelming. We all know about the potential damage that can be caused by not protecting your skin adequately, but different skin types have different needs. LloydsPharmacy is here to help you pick the right sun protection for your needs. How should I protect my child from sunburn? Children’s skin is more delicate and sensitive to UV damage, so try to prevent sunburn. To protect your child’s skin, we recommend using an SPF 50 or more, and never below SPF 30. If your little one is in and out of the pool, make sure to reapply after each towel dry, while many sun lotions are water resistant they are not friction resistant and can rub off when drying. Why doesn’t lying under a sun umbrella protect your skin? Although being under a sun umbrella is better for your skin than being directly in the sun, it won’t completely protect you from damaging UV rays. Whilst spending time in the shade will keep you out of reach of UV-A rays, UV-B rays can reach the skin indirectly so you may still be at risk. To avoid UBV-B rays, you need to find a shaded area where you are unable to see the sky so none of these harmful rays can penetrate, or opt for sun care with UV-B protection. If you have a history of sun damage or skin cancer, always wear the highest sun protection factor and seek shade where possible. Apply half an hour before going outside, and again shortly after to ensure the sunscreen is fully absorbed. Use an amount equivalent to the size of a golf ball or 6 teaspoons to cover your entire body. Reapply sun cream a minimum of every two hours. Dehydrated skin is more prone to sun damage, so drink plenty of water. Water-resistant sunscreens are not friction-resistant, so reapply after towel drying or sweating. But one fact to remember is to not let sunburn catch you out, because too much UV from the sun (or sunbeds) causes most cases of skin cancer. This might feel like old news, but rates of melanoma (the most serious type of skin cancer) are still increasing. The sun can be strong enough to burn in the UK from the start of April to the end of September, even if it doesn’t feel that warm, or it’s a cloudy day. The UV Index can tell you how strong the sun is where you are today, you can find it on weather forecasts and the met office website. If the UV index is 3 or above think about protecting your skin. And take extra care if you get sunburnt easily or have a lighter skin tone. Not necessarily. If your skin’s gone red or pink in the sun, that’s sunburn, and it’s dangerous due to the damage the UV rays cause to DNA inside cells. If your skin goes pink but then a tan develops that still counts as having burnt. But you can’t always see the damage. For people with naturally darker skin it might just feel irritated, tender or itchy rather than your skin changing colour. Getting sunburnt doesn’t mean you will definitely develop skin cancer. But sunburn just once every 2 years can triple the risk of melanoma. So if you have had sunburn in the past, it’s a good idea to think about what more you can do to protect your skin next time. No sunscreen is 100% effective and as SPF increases, sunscreens provide less and less extra protection. SPF15 should be high enough wherever you are in the world, if it’s used properly. Higher SPFs don’t add much in terms of protection and might encourage you to spend longer in the sun inadvertently leading to more damage. Sunscreens with SPF lower than 15 aren’t recommended, and also make sure sunscreen has 4 stars or more, for UVA protection. It’s not. Even if it says once-a-day on the label, all sunscreens should be re-applied regularly. Some products rub, wash or sweat off more easily than others. But it’s also really easy to miss bits of your body so don’t be shy with it, put plenty on. The best way to use sunscreen is to think of it as the last line of defence for the parts of your body you can’t cover up with clothes. This myth is a persistent one. But the evidence is clear, sunbeds cause skin cancer and there’s no such thing as a safe tan. 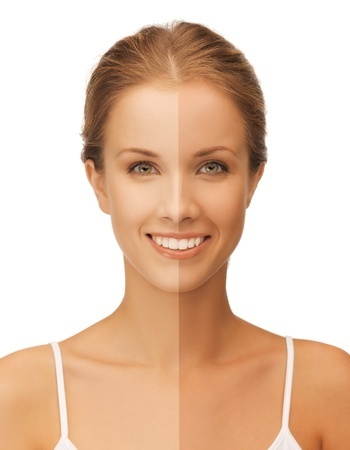 A tan is a sign that your body is trying to repair the damage caused by UV rays. That’s why we want to see more people embracing their natural skin colour through our Own Your Tone campaign. We’ve probably all turned to that old bottle of sunscreen at the back of the cupboard that’s been there for an unknown number of years. But most sunscreens expire. Look out for a small open jar icon on the bottle with the number of months the product can be used after opening. And like most cosmetics, sunscreens should be stored in a cool place and not in direct sunlight. Indoors you’re mostly protected from sunburn, but some UV rays can get through glass. So if you spend lots of time driving or sitting in a conservatory when the sun is strong, then long-term you might be at risk of damage from UVA rays. If you’re stuck by the window, protect your skin with clothes and sunscreen with 4 or more stars. In fact, more than 14,000 people die as a result of accidents across the UK each year, while thousands more are maimed and millions are injured. Businesses are ruined. Families are devastated. Children grow up without parents, parents without children. Yet it doesn’t have to be like this. Whether you’re a parent or carer, a grandparent, a health visitor, a nursery nurse, or a company director, we’ve got stacks of facts, tips, advice and resources to help you keep under-fives safe at home and on the move. Click on the links below to get involved. Together, we can help save little lives. Sadly, accidents involving children continue to devastate lives with those under-5 particularly at risk. On average, half of under-5s attend A&E every year following an accident that didn’t need to happen. 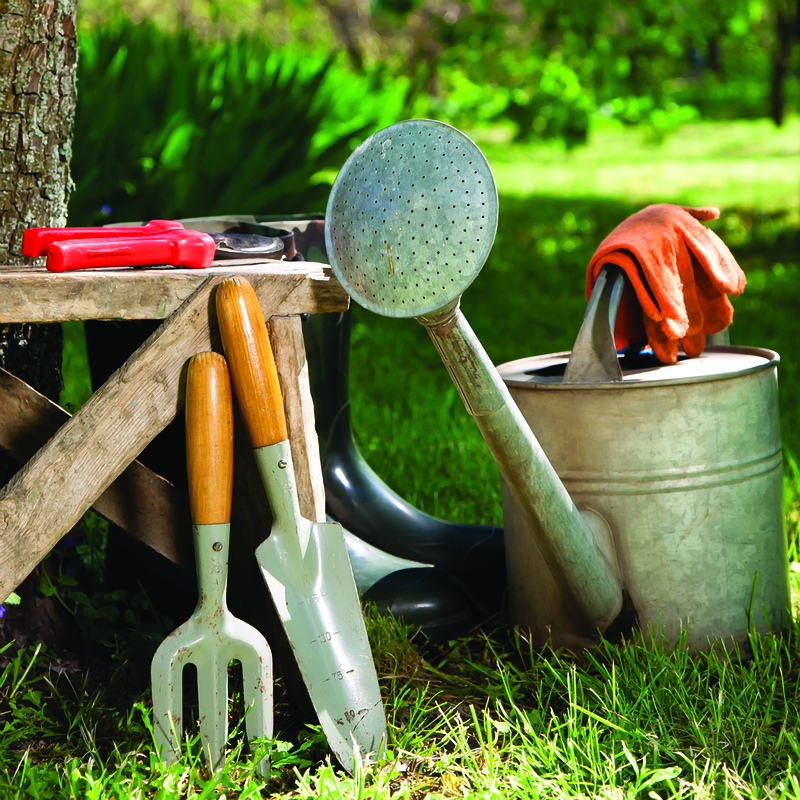 National Gardening Week – Can gardening be good for you? National Gardening Week was launched six years ago by the RHS and aims to become the country’s biggest celebration of gardening. Thousands of people, gardens, charities, retailers, culture and heritage organisations and groups have got involved over the years and you can too. In 2017 at the RHS, National Gardening Week is all about helping new gardeners to get growing plants. Four RHS Gardens will be running activities and events which will inspire and help new gardeners, including creative ideas, tips and suggestions for plants to grow indoors and outdoors. Here are some suggestions if you’d like to get involved in 2017. Events and activities are being run up and down the country. From beginners’ workshops to guided walks, face painting to garden parties, there’s something for everyone and everyone is invited. Find out what’s on. Would you like to throw a garden party, love your neighbourhood park or think your local street could do with a tidy up? Well if so, you can get involved in National Gardening Week by running your own event and registering it online. No matter how big or small your idea, get involved. A spot of gardening not only gives you a good physical workout but reduces pain and anxiety, too. A Sunday afternoon of pottering round the garden – a bit of weeding here, mulching a bed there – doesn’t exactly seem like an arduous workout. Yet a 2006 study by Pennsylvania’s University of Scranton suggests otherwise. The team found that prolonged light exercise, such as gardening, can burn more calories than a gym session, despite feeling much easier to do. How does this work? The key is the duration of the session. Gardening tends to be much lower intensity, but last twice or even three times as long as a trip to the gym, meaning the cumulative effect of this more modest rate of calorie-burning starts to add up.